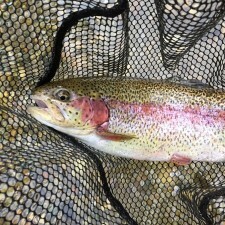 It was a good day on the Swift River. 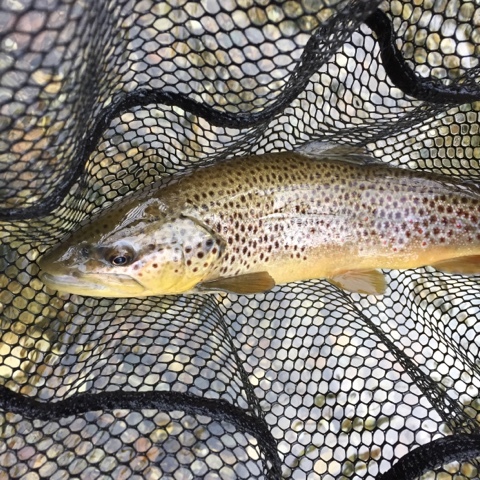 Was skunked in the morning at the Westfield, and so, was seeking redemption. 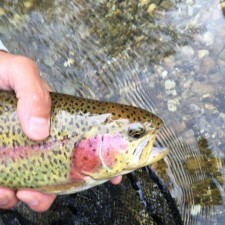 In spite of the parking lot on both sides of Route 9 being jammed with cars, I was able to get some elbow room and land about 15 trout. Some looked recently-stocked, while the veterans already have lost their silvery sheen. 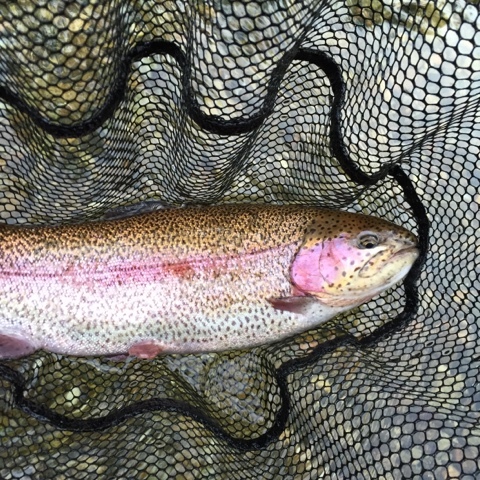 The biggest was a 17″ rainbow (see first photo if you scroll down). The others were also good-sized, and all weighed a few pounds. Does anyone know why DFW stocks “jumbo-sized” fish in the Swift? I’m not complaining, but they don’t seem that big on other local rivers. The bite really picked up around 5 pm, and I decided to stay until dark. Perhaps it was because the river started to clear out by then? Sulphurs hatched everywhere, fish rose all around, and fireflies greeted me on the walk back to the car. Here are two videos and some photos. That brown is pristine! Are there holdover and wild fish in the swift? Thanks! There are brookies that are definitely reproducing in the river. Some of the stocked fish do hold over, but it seem to vary depending on the winter's severity. Great to hear that the Swift is producing again! We're there fish only below the bridge, or are they once again in the upper Swift leading to the Y-Pool? Congrats on a great day!! Hi Scott, I fished north of Route 9, and so, don't have a feel for what it was like south of there. With the regulations changing on July 1 back to C&R, I suspect you'll have as much luck south of Route 9. Hope you have a chance to get out and fish! Thanks Jo! Appreciate the info! It's good to see the Swift is finally back to where it was before that long winter. Btw, I believe Troy (almost forget who he is, right?! 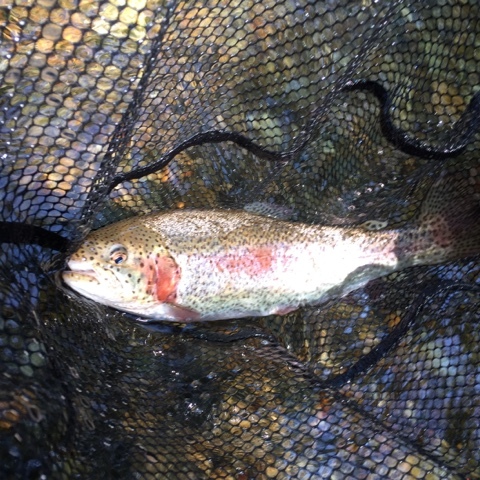 LOL) will be back in MA in a month or so… want to all meet up and do a little angling? And also, we're the regular nymphs getting it done? 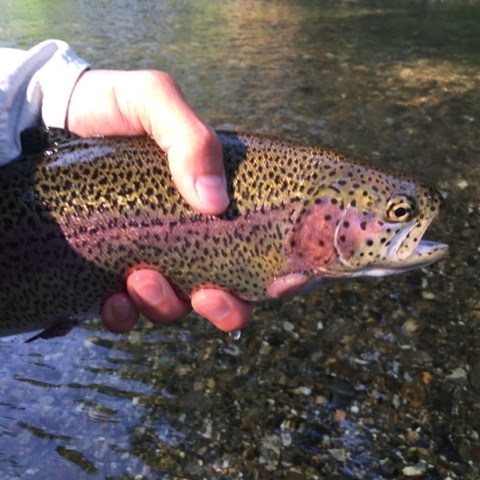 Any dry fly action with the sulfurs hatching? August looks busy for us but please keep me posted! Some guys reported that sulphur dries were doing the trick. 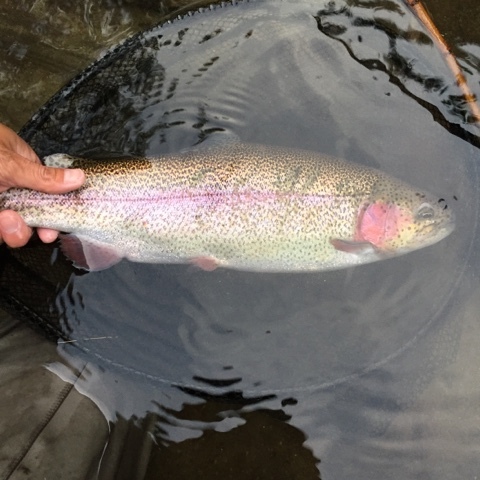 I didn't have much luck with dry-droppers and caught all mine on various nymphs. 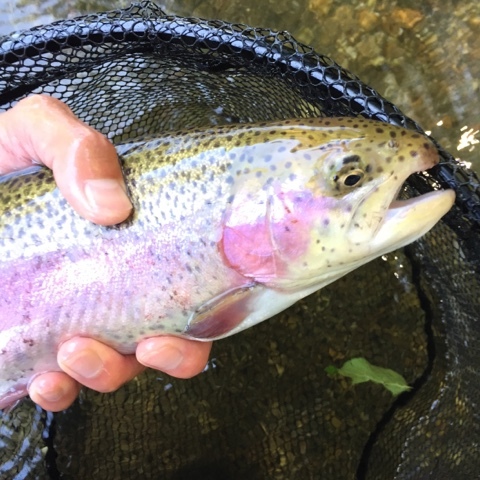 The JT Special streamer continues to do well for me on the Swift for some reason; trout swim from afar to inspect it and it's fun to see the take. Hi Jo, I thought that was you at the Swift yesterday — I recognized the William Joseph pack. My apologies for not introducing myself. Was fishing above you on the bubbler with my son. 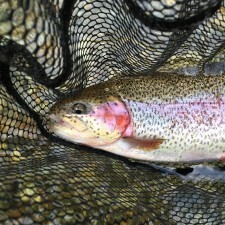 We ended up fishing below the bridge at the gauge and caught numerous large (17"+) rainbows swinging wets. A blast.